So this year I am going to Balticon. I am very excited as this will be my very first Sci/Fi convention ever. Oh I know technically it is not a sci/Fi convention but really it is. I have said it before and I will say it again, I am both very excited and very nervous about this. The nervous part first. At heart I am an introvert. Sure get me In room with people I know and I will talk their ears of if you give me a chance, but put me in a large situation where I don’t know many people and I am unsure about my surroundings and I revert to the awkward teenager I was. Really the story of my life. The other reason I am nervous is because I will have my oldest two sons with me. I want them to see their dad, in a better light that than that. They are 16 and 14 so they have lived with me long enough that they know my issues, but I want them to come and have a good time, and not be weighed down by me. One of my sons is a lot like me in the fear of crowds and new situations and the other one, well he fears nothing. So it should be interesting. This year, unless I get drafted onto something else, I am only going to be on one panel that is “Galley Table Live” at 1PM on Sunday. You really don’t want to miss it, Scott Sigler (the dark overlord himself) is going to be there. (And thus begins the jokes about the dark lord and the dark overlord meeting for the first time.) Also Chris Morse who is a fellow writer of Evil Mad Scientist type fiction. Of course it would not be a Galley table without Laura Nicole and our Stowaway Doc Coleman. We are either going to talk about endings or I am going to do a last minute pirate take over, I don’t know which yet. And yes I am in charge of the panel so it should be interesting. I will make sure that I go to enough panels ahead of time that I know what I am doing. 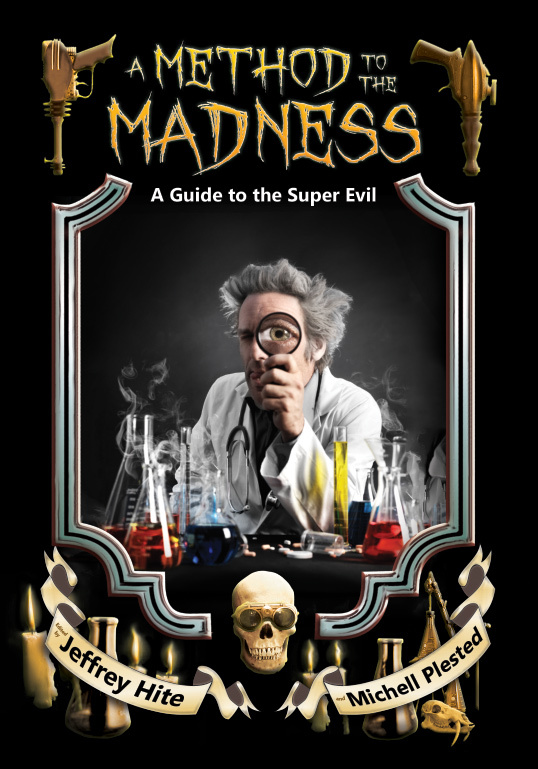 As you might have guessed, Michell Plested and I will be there to promote our new book A Method To The Madness: A Guide To the Super Evil. I am incredible excited about this. This is my first book in print, and so far it really seems to be doing well. So I am very happy about that. Another thing that makes me happy is that I get a new piece of technology. 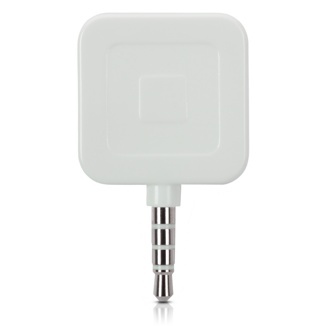 I bought myself a Square This will allow me to sell the books I have with me at the con or other book signing opportunities without having to A carry change with me, and not having to worry about cash. Technically it is supposed to be for iPod touch gen 4 and up, but I have tested it on my gen 3 and as long as I have wifi it seems to work just fine. I hope to have a review of it when I get back. Last, I am working on a new story. More about my writing in another post, but for now let’s just say that I am writing again. As I said I am working on a new story. 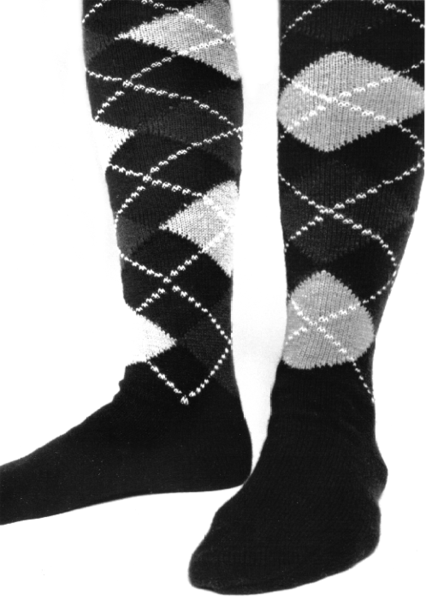 I misread a tweet the other day and I thought it said something about Supernatural Socks. I have no idea any more what it was actually about, but that is what I thought it said. This story is all about Supernatural Socks, with any luck, I will be able to have it done and ready to go before Balticon. I would love to have a new work for people to see. I will likely give it away for free, but It feel pretty darn good just to write again. That is it. Those are my hopes and dreams and fears for Balticon. If you are going I look forward to seeing you, if not then I hope to see you in years to come.